We provide following services in the field of Freight Management. Tripath Logistics covers a large network of agents and businesses worldwide, providing freight services that span across continents. 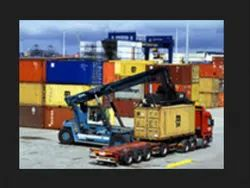 we are committed to offering you reliable import-export of goods in an expeditious manner. We have a solid track record of fulfilling the shipping and logistical needs of international companies on a worldwide basis. Whether you are new to importing and exporting or experienced in complex freight movements, we ensure your requirements are dealt with in a professional and cost effective manner. To our corporate clients, we provide general freight services connected with imports and exports both by air and sea and complement it with efficient land based support systems. We provide a ‘Freight Management logistics’ service for customers who want a tailored solution to their freight requirements. This can be just simplified statistics and reports or total management on a customers site including implants from our company to help run your business. Freight experiences can be frightening experiences for many supply chain entrepreneurs, but we love to share our experience to confirm simplified transportation logistics management to drive your bottom line: on-time, worry-less!